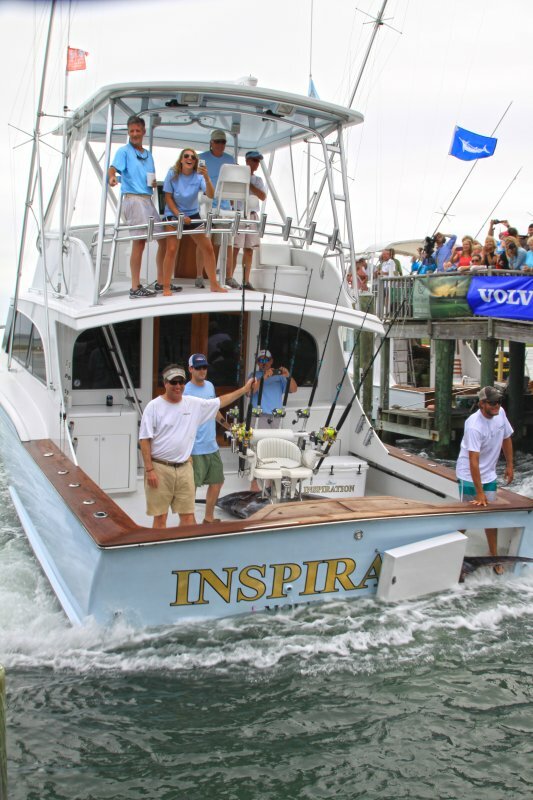 As detailed after day 1, the 55′ Jarrett Bay, Inspiration struck big early in the Big Rock tournament, and ultimately was able to hold on for the win with their 754 lbs. 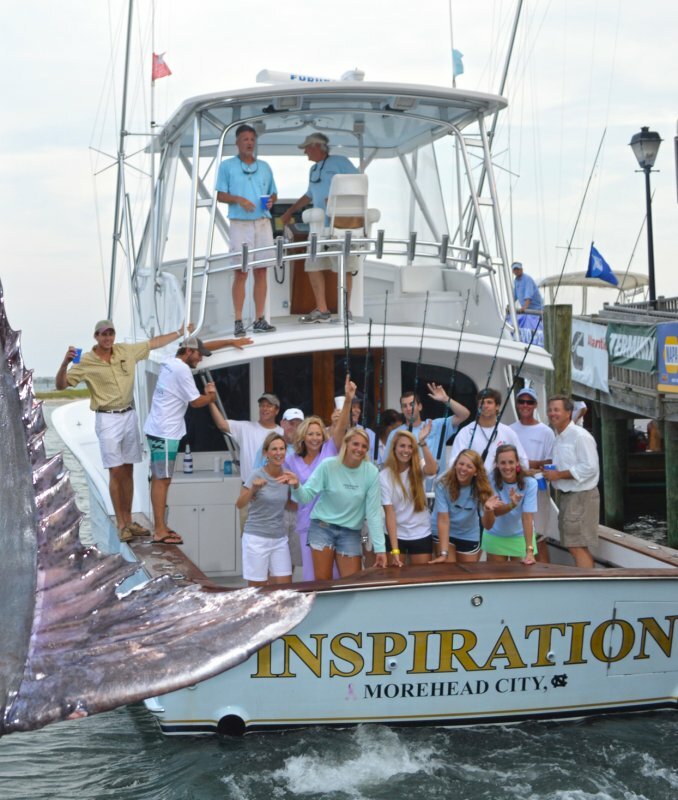 blue marlin. 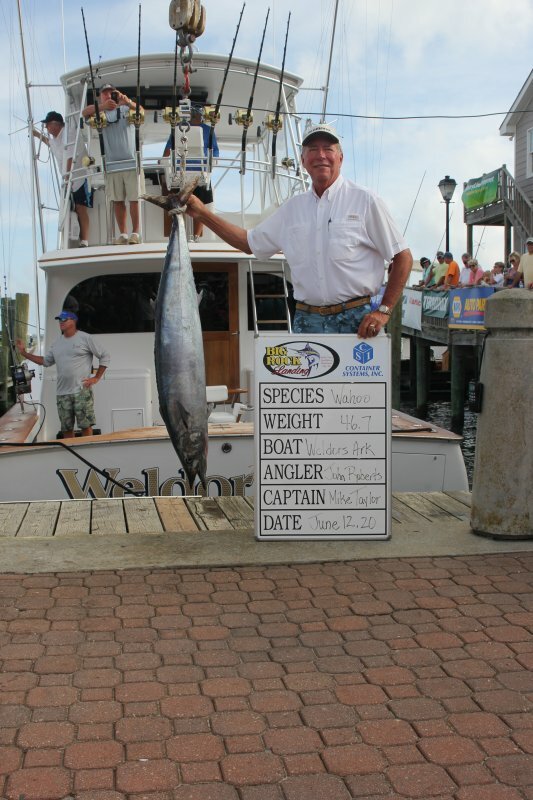 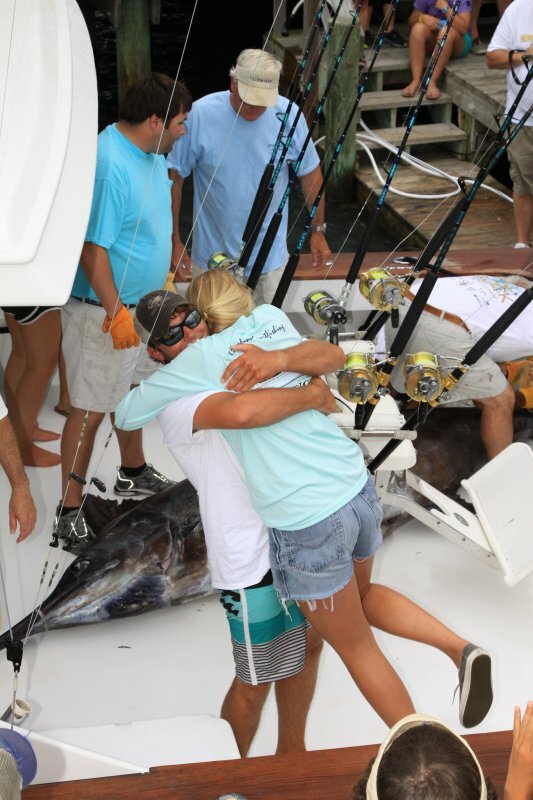 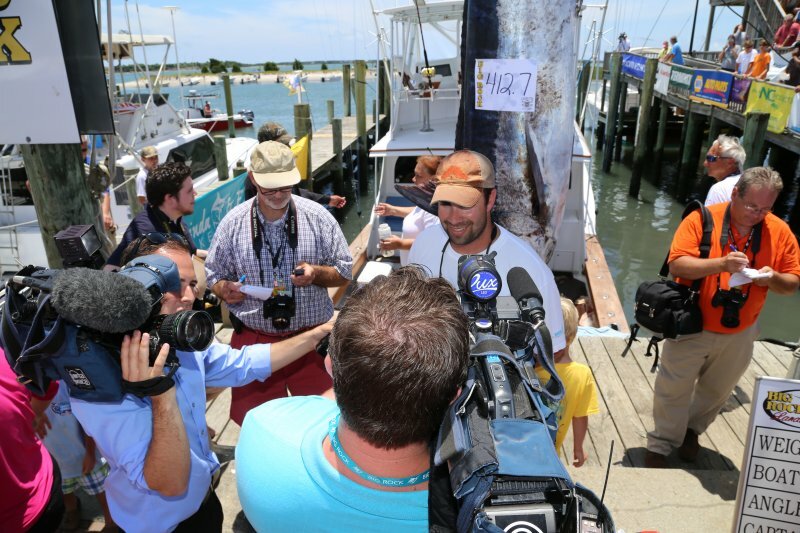 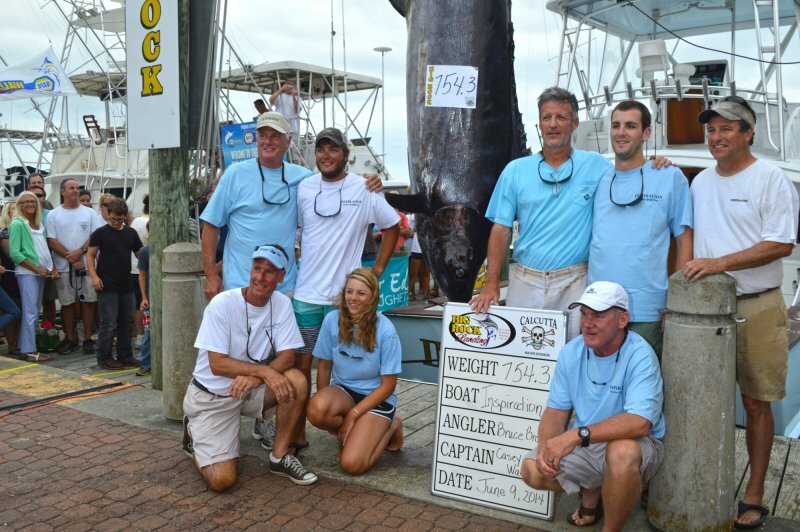 Captained by local Morehead City owner/operator and former Big Rock chariman, Casey Wagner, this was the third largest marlin weighed in the 56 year history of the tournament and the largest in this millennium! 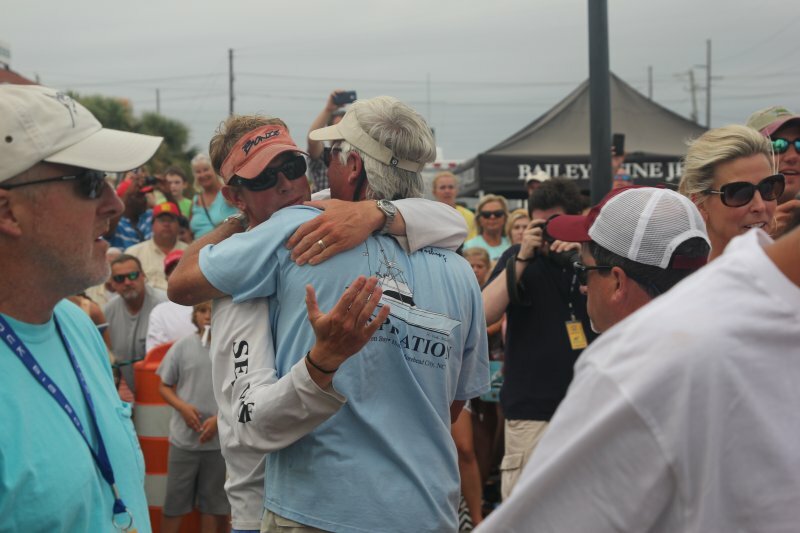 Winning the Big Rock is truly a family endeavor and especially emotional for the Wagners. 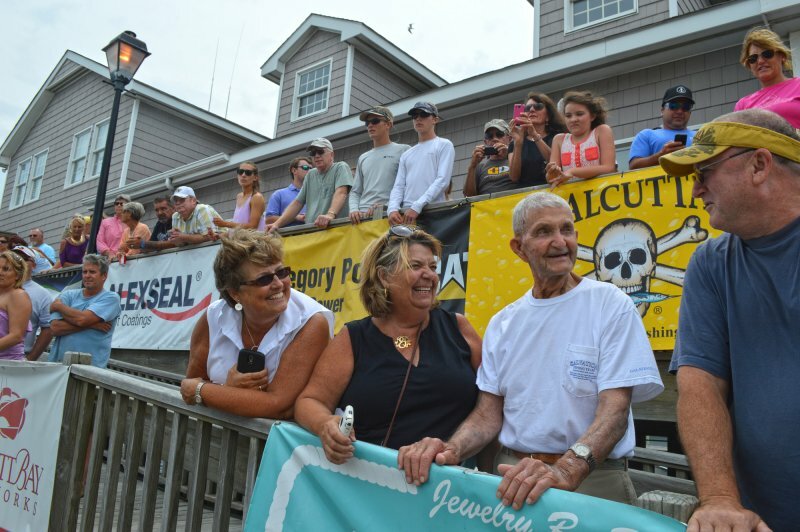 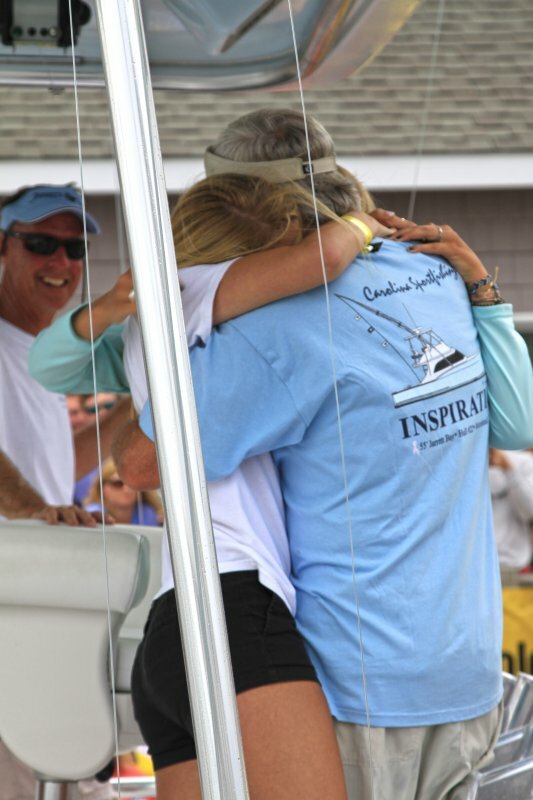 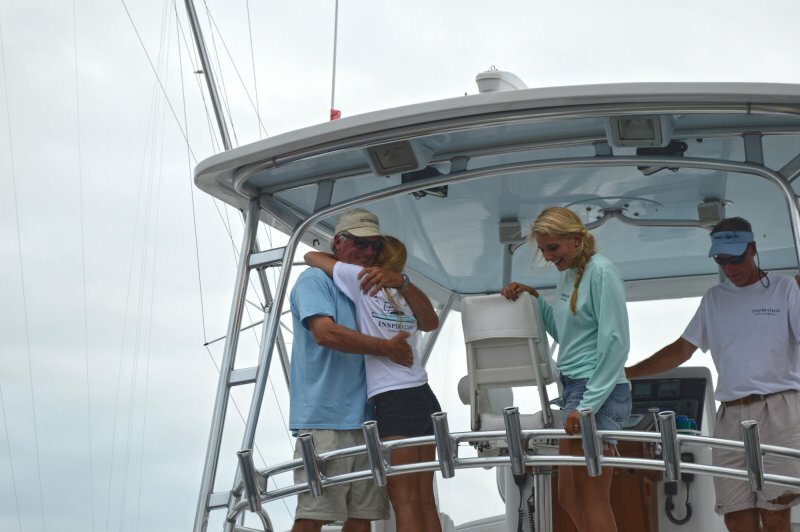 Both the Inspiration and the Keli Wagner Lady Angler Tournament are named in memory of Casey’s late wife and all of their children including mate Cole and daughters Caroline and Kristen have been involved in the two events for most of their young lives. 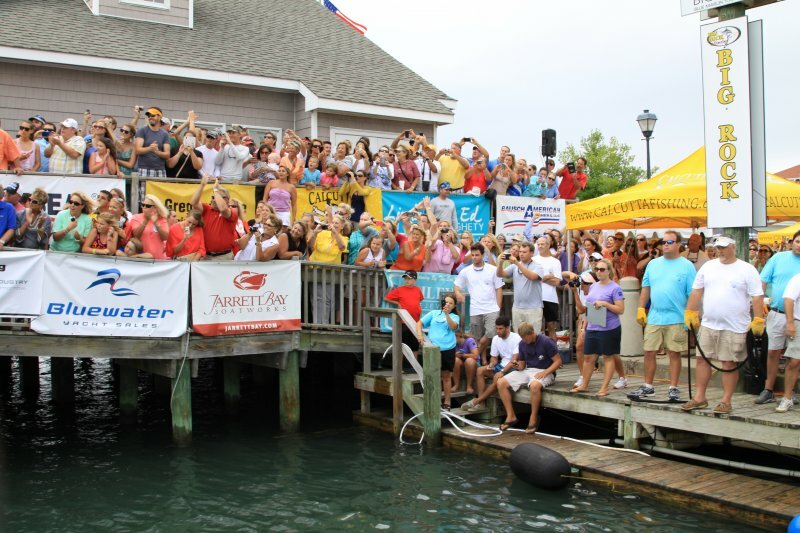 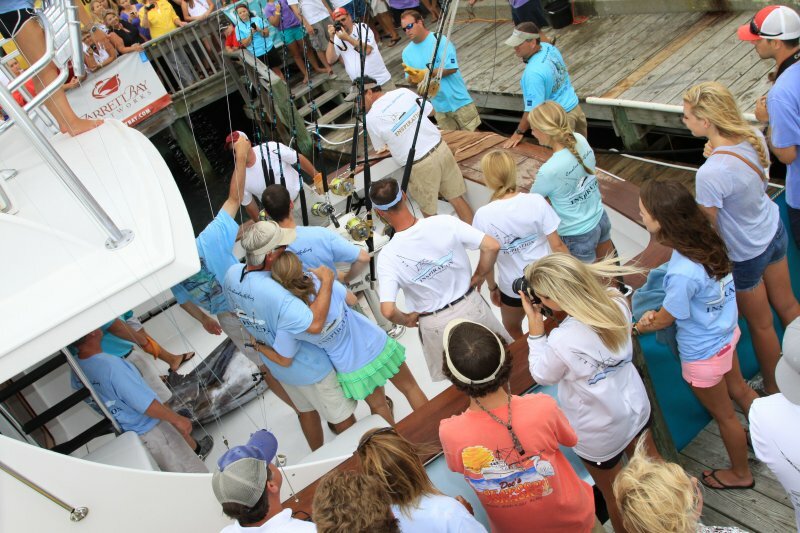 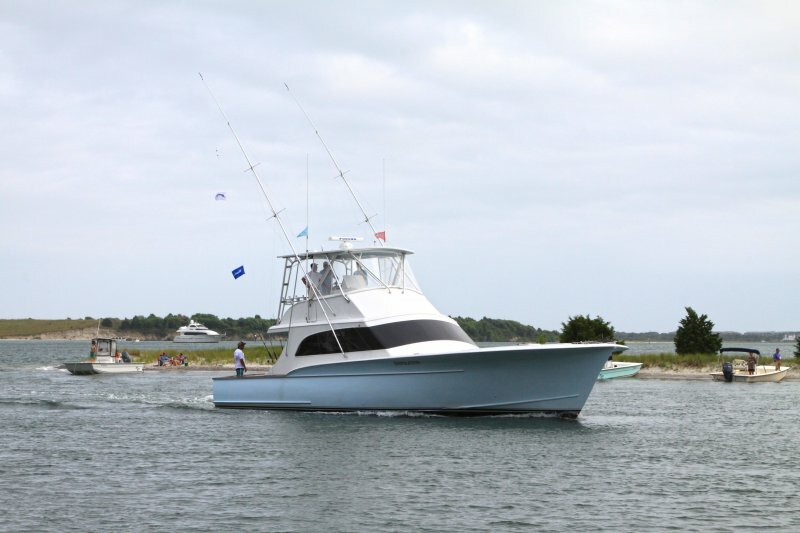 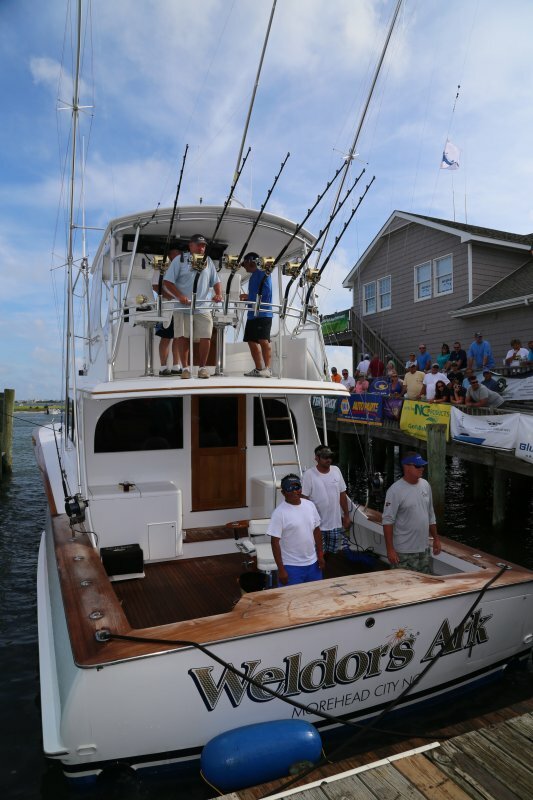 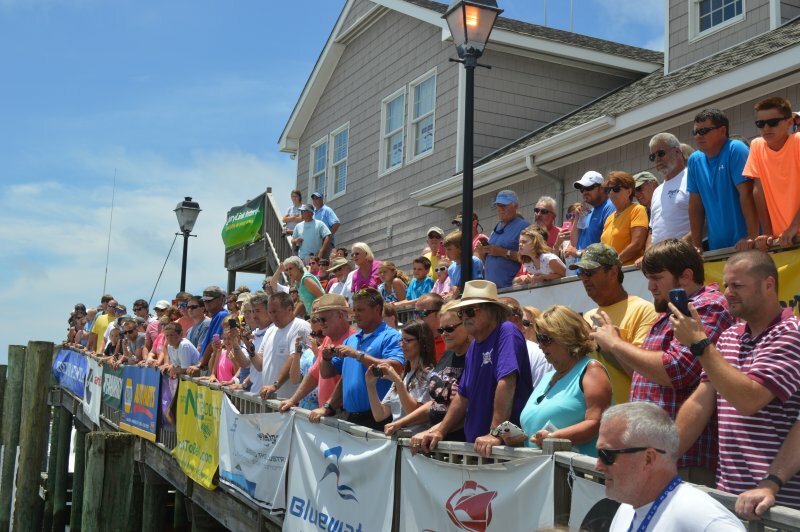 Overall, 120 boats competed over six days of fishing and the twelve Jarrett Bays competing made a whole lot of noise. 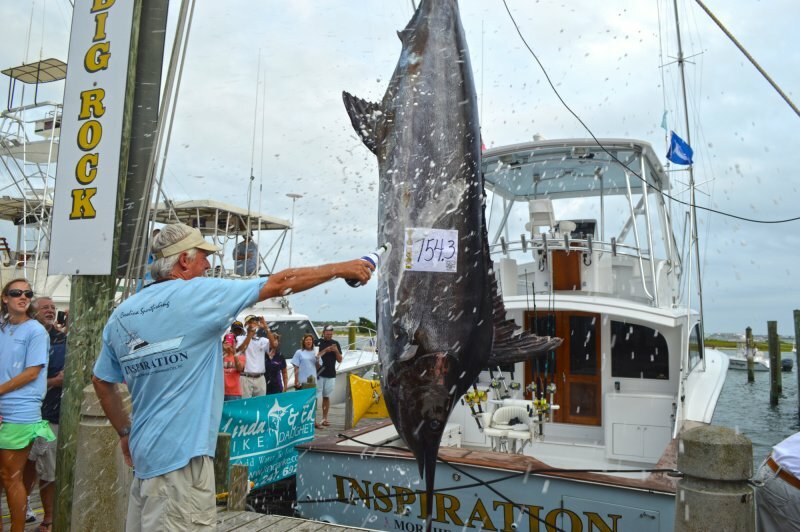 Another well-fished local Jarrett Bay boat, the 54′ Chainlink weighed a 412 pound marlin on Day 4, which placed as the 3rd largest in the level III blue marlin calcutta. 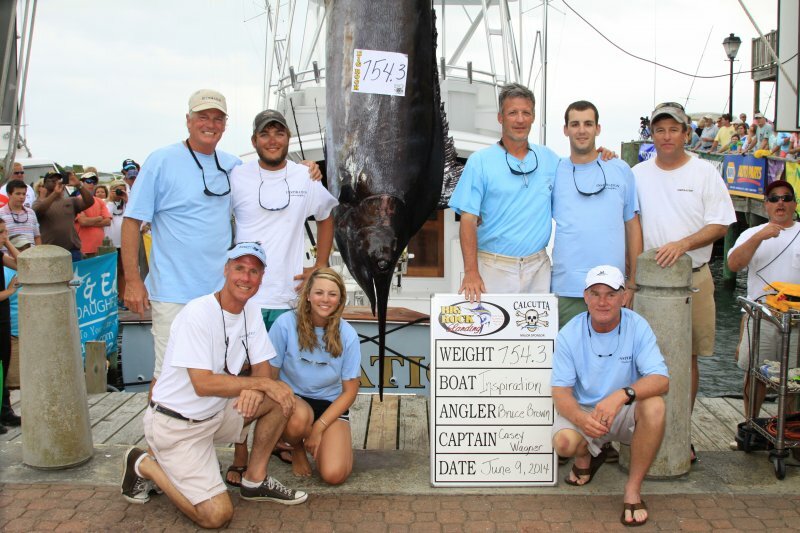 Congrats to angler Ben Seegars, captain Ralph Griffin and the rest of the team on their accomplishment! 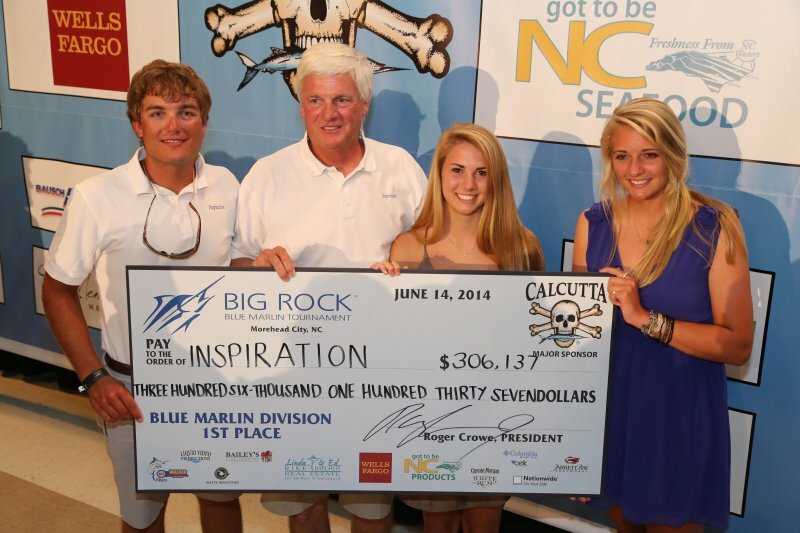 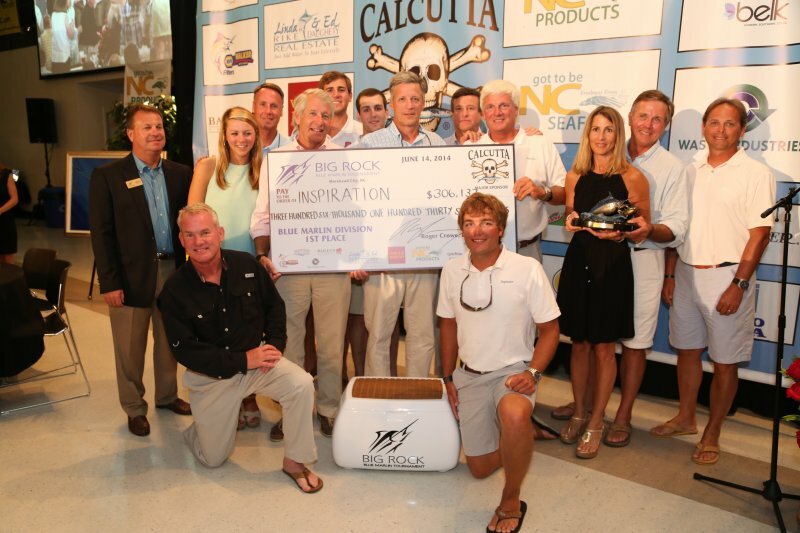 Inspiration’s prize money totaled $306,137 and Chainlink took home $84,150 for their fish. 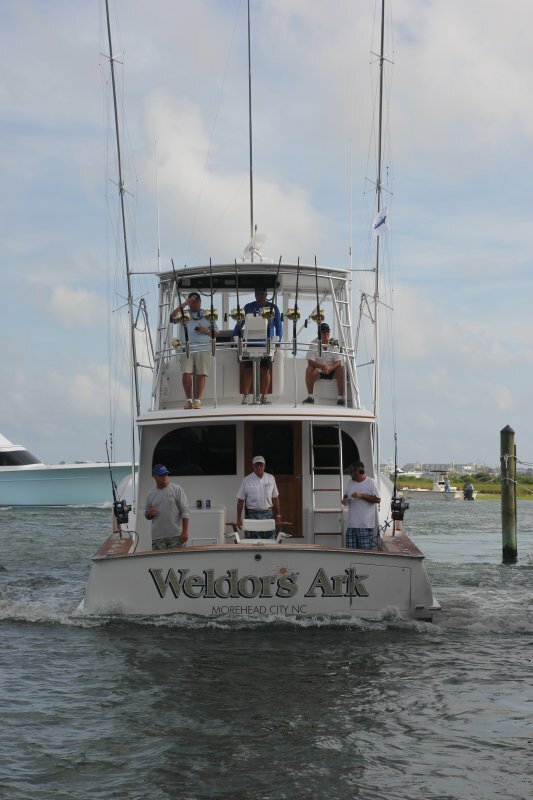 Jarrett Bays Bill Collector, Builder’s Choice, Carolina Girl, Chainlink, Inspiration, Magic Moment, Sea Striker, Waste Knot & Weldor’s Ark all released one or more billfish during the tournament. 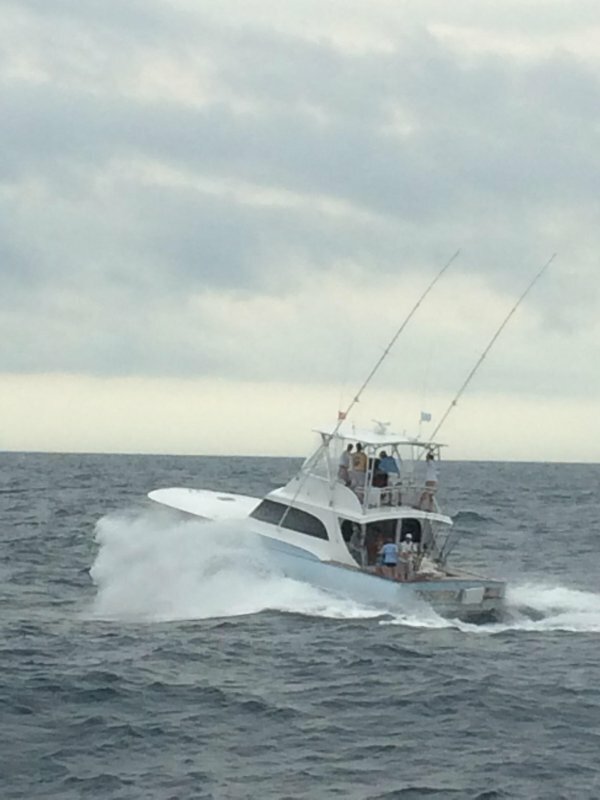 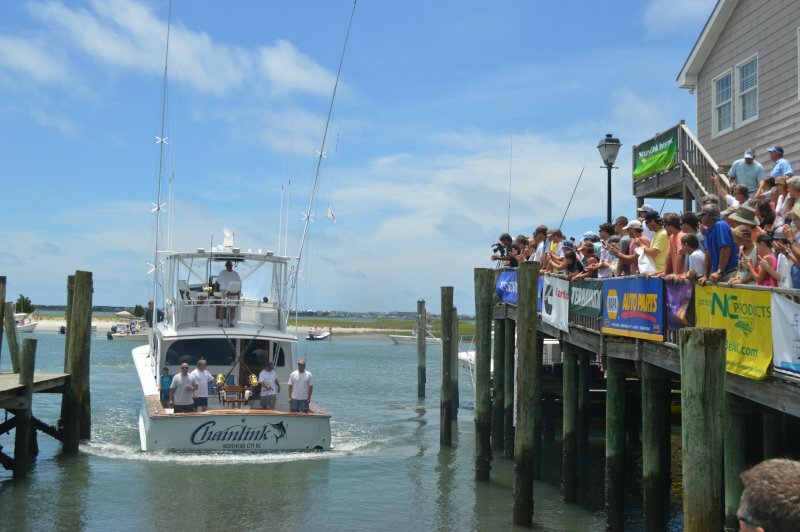 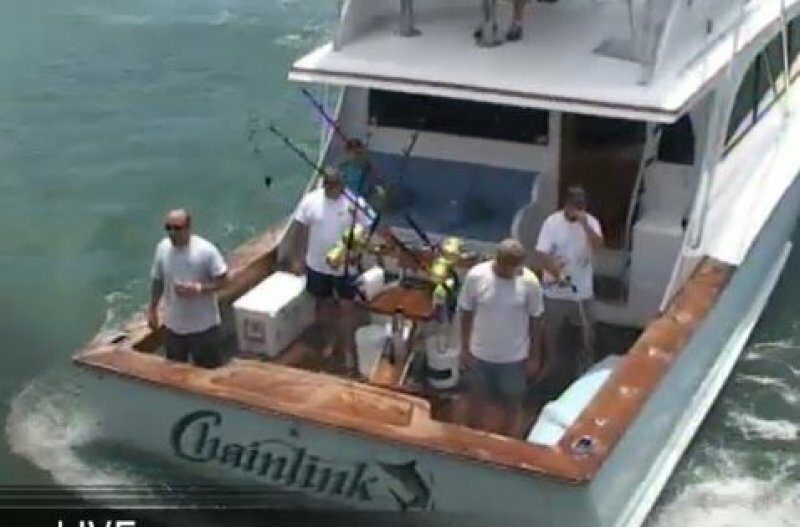 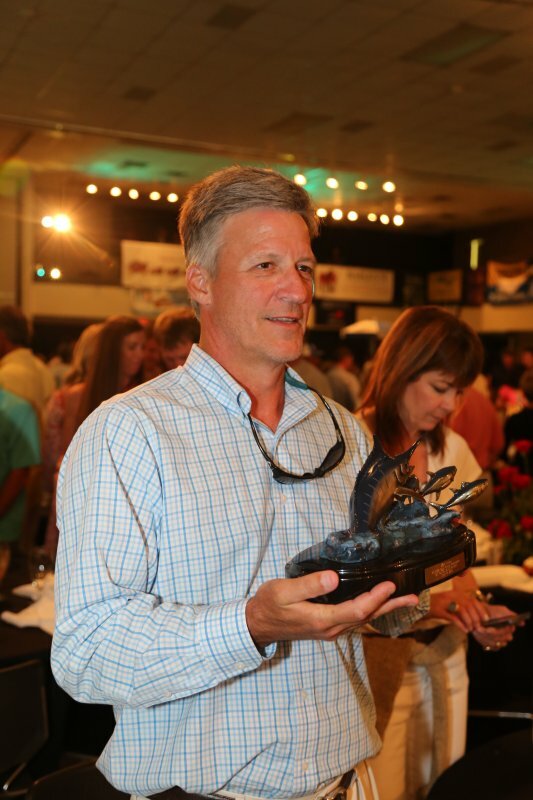 Teams aboard Chainlink, Weldor’s Ark and Builder’s Choice also won several daily pots in various categories including wahoo, dolphin and junior angler throughout the week. 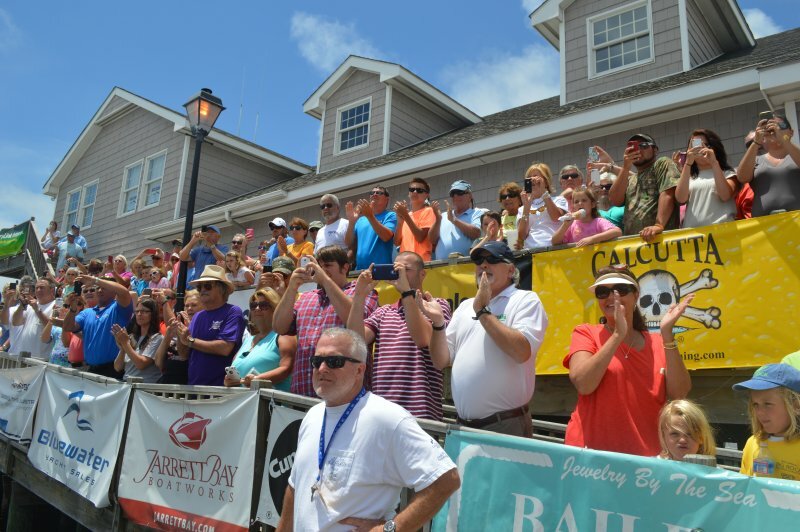 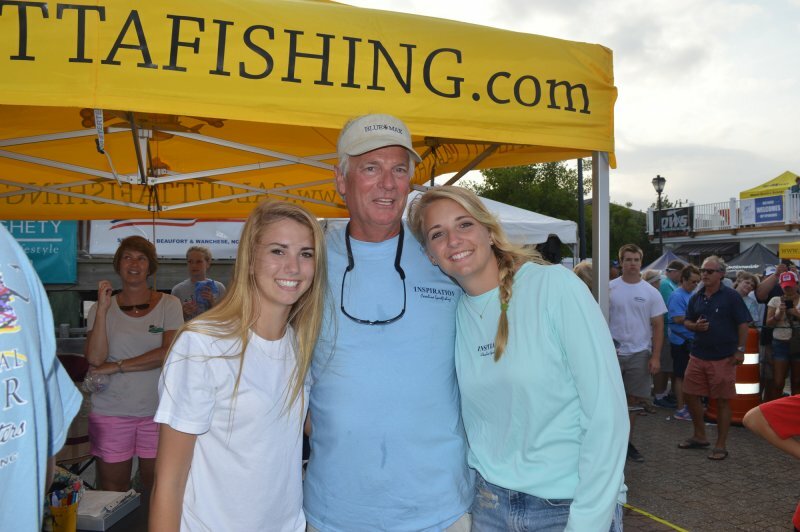 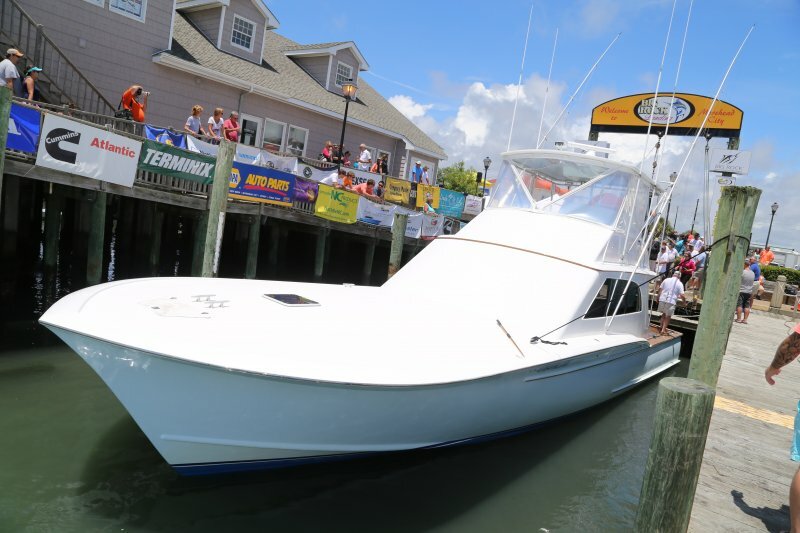 Couple these achievements with Bill Collector & Inspiration going 1-2 among 81 boats in the Keli Wagner Lady Anglers Tournament, and it’s clear to see that Jarrett Bay-built boats and their crews again led the fleet in major ways this year!